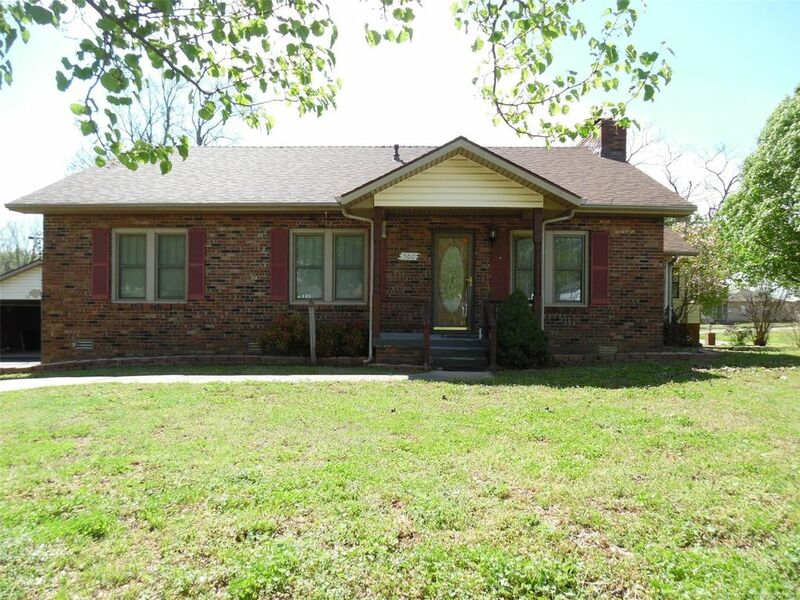 Very well-maintained brick home on 8/10 acre. 3/2 with wood/gas fireplace, sunroom, gazebo, deck, blacktop driveway, cellar, 2-car detached garage plus 2-car carport and 2 storage/shop buildings. Large corner lot for privacy. Newer 40-year shingles and vinyl thermal tilt-in windows with transferable warranty. Spacious laundry room with sink and good storage, galley kitchen with large eating bar, wall of built-in storage in one of the bedrooms. CH/A package unit, 4 pecan trees. SUPER NICE PLACE!